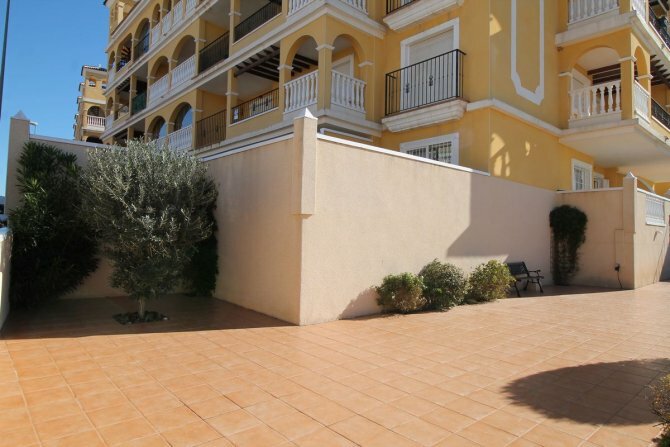 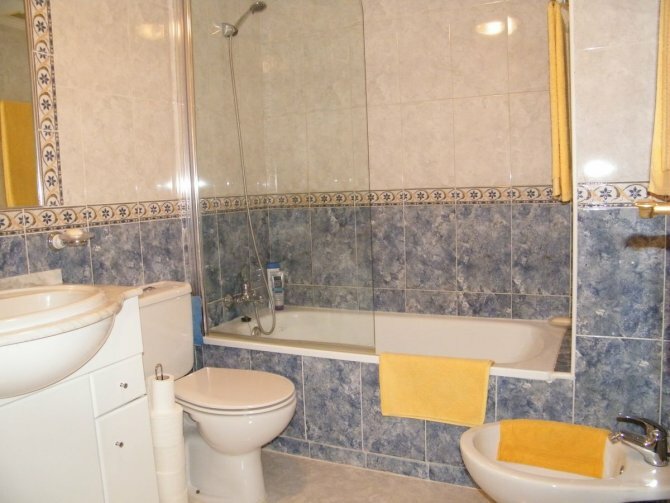 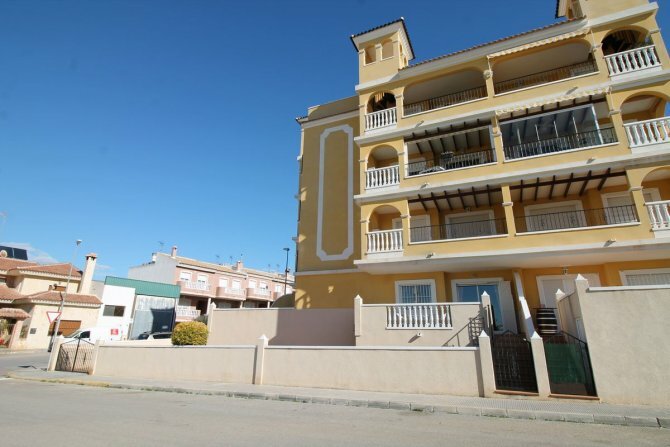 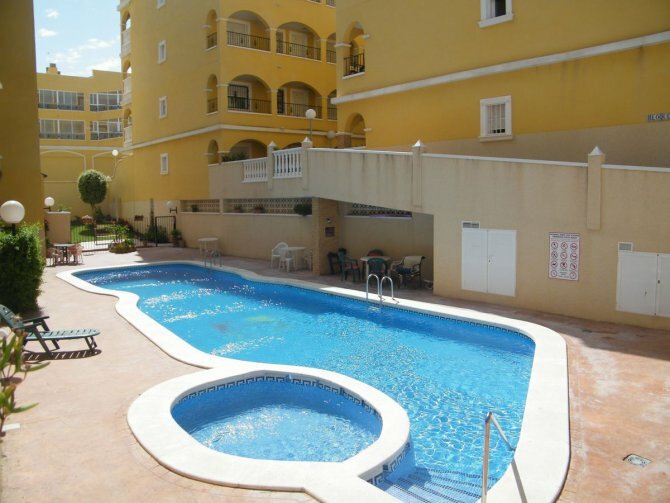 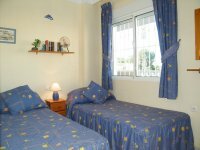 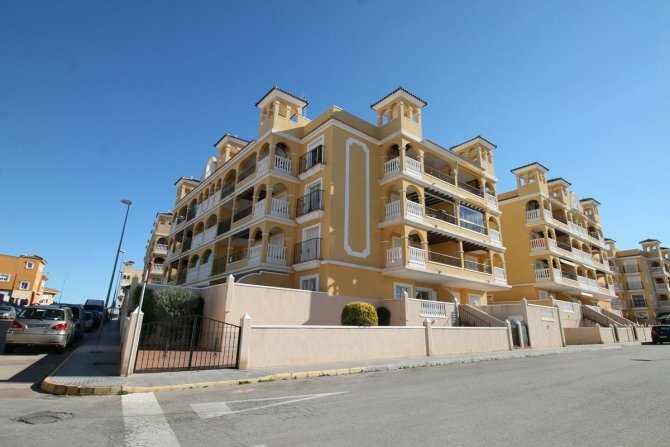 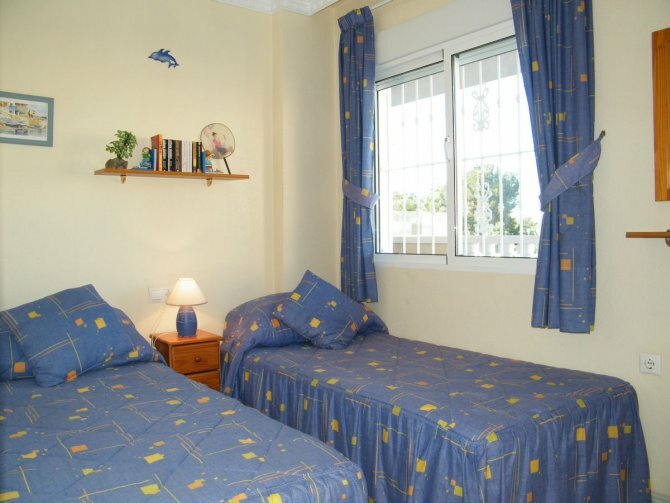 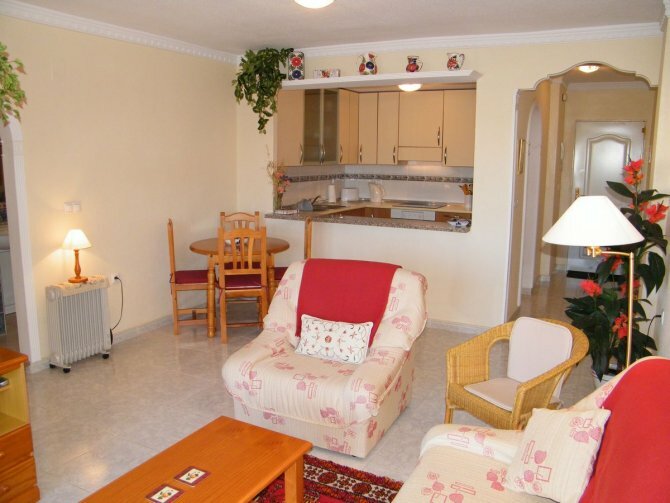 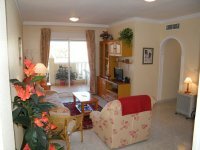 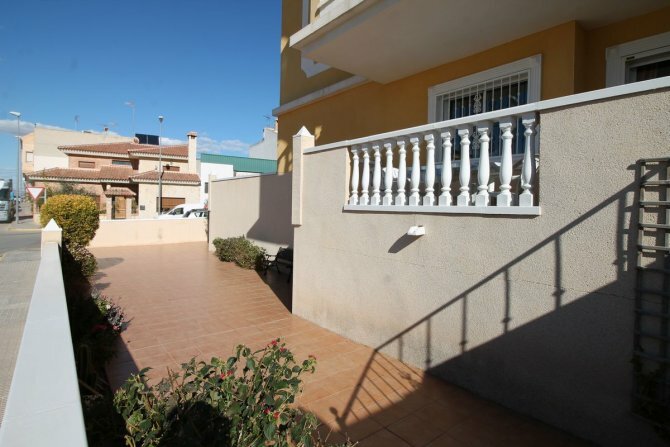 This is an attractive ground floor corner apartment in the popular, quaint and typically Spanish village of Algorfa. 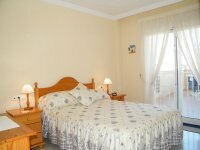 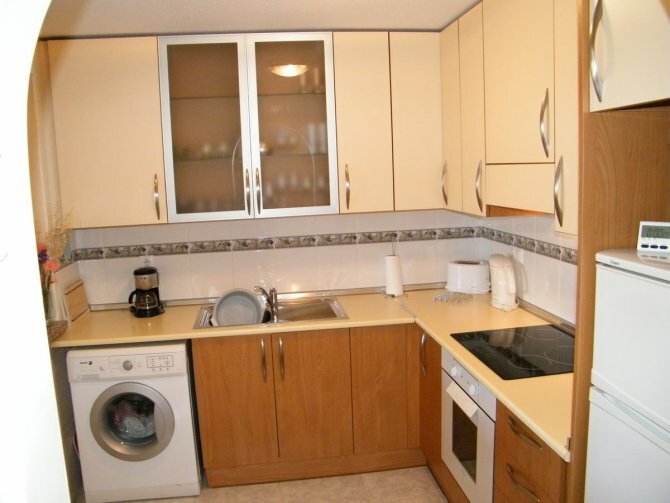 This lovely apartment briefly comprises of 2 bedrooms; family bathroom; open plan lounge/diner and American style kitchen. 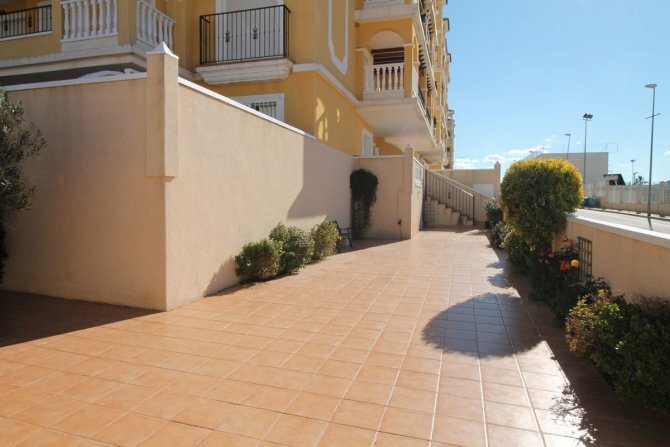 This west facing apartment is one of the larger examples in the Fontana development and the benefits of being on a corner plot is the spacious feel to the apartment and outside space with own private gated access. 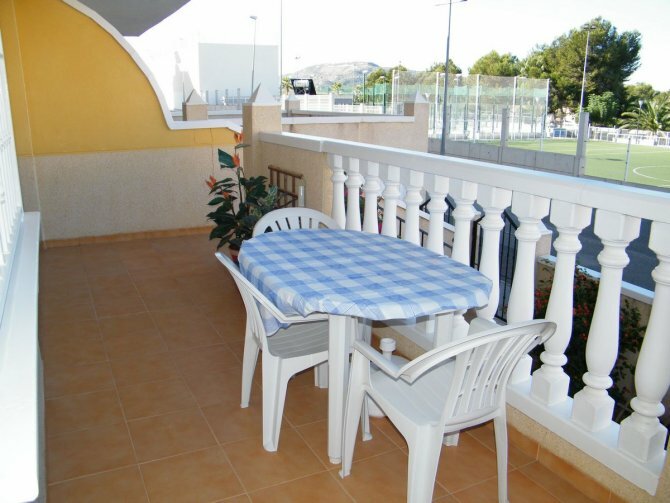 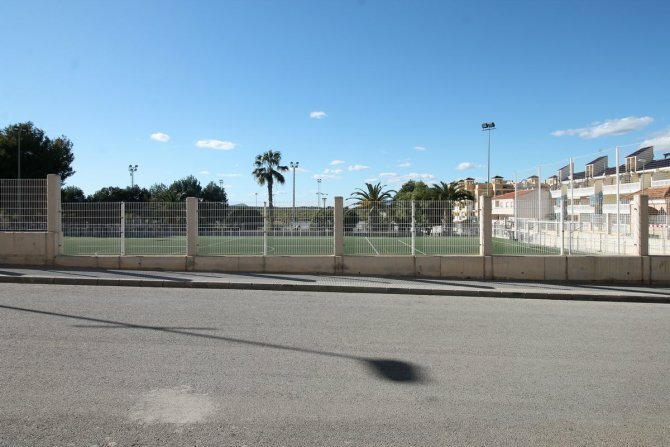 The apartment also boasts open views to the sports complex and surrounding countryside. The Blue Flag sandy beaches of Guardamar del Segura are only a 15 minute drive away and Alicante airport approximately 30 minute drive.